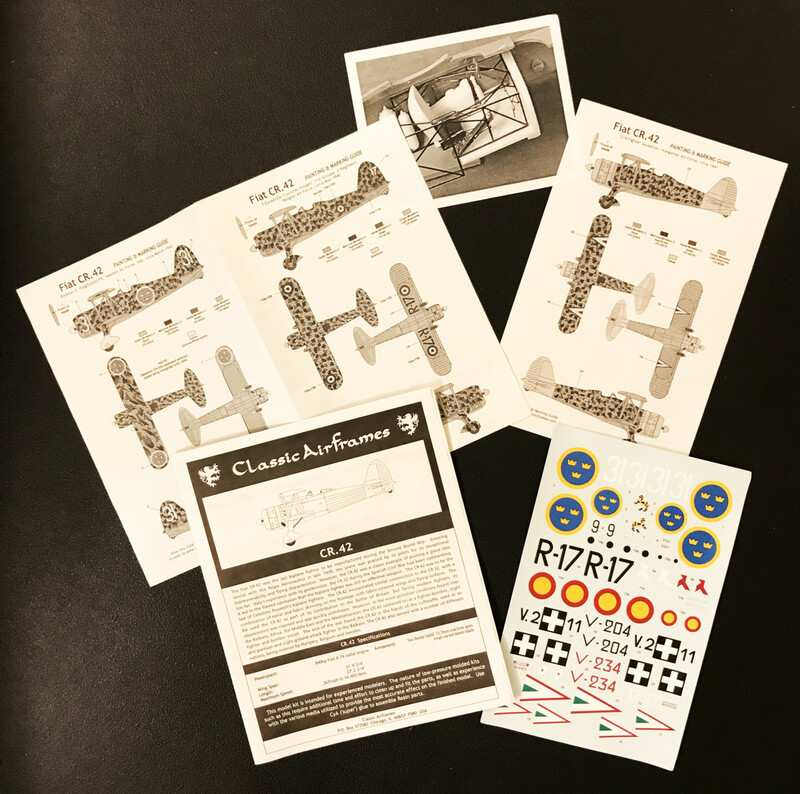 This kit was released with new tooling in 2004. It has since been released five times in different versions. 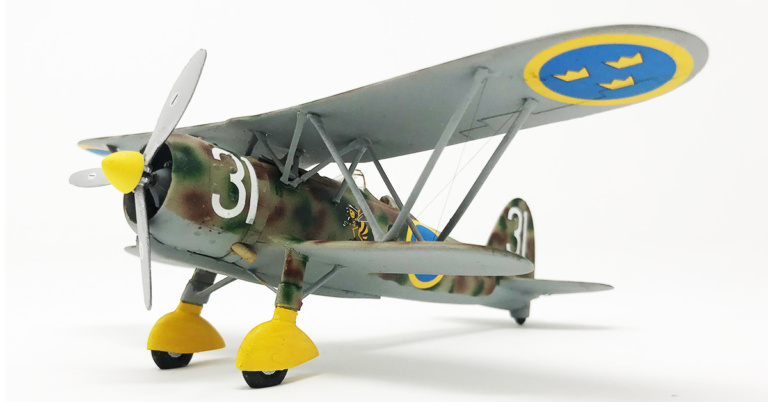 This is the second release, the 'Export Version' (export of the plane, not the kit). 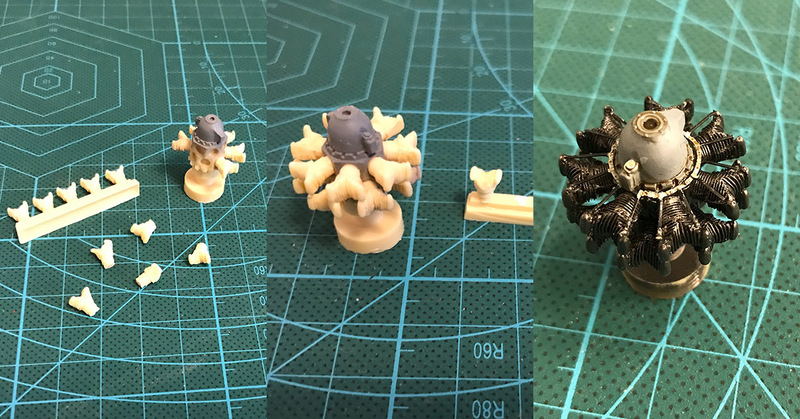 To the beginner it might be a frightening thing to open the box and find all the PE and resin parts (and no alternative plastic ones). And, yes, this is not a beginners kit. The plastic parts are nicely done with good detailing but has some, not much, molding flash. There are not that many plastic parts which is compensated with the PE and resin parts. The cockpit interior is entirely made by these as well as the engine. You soon notice the minimal guiding pins etc., see building experience below. It's a good kit for the experienced. It's a pity that Classic Airframes is gone. The only guiding hole for the tripod landing gear. Starting off with the cockpit. 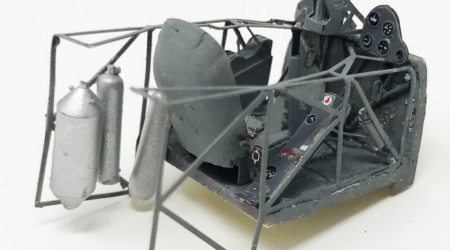 It is mostly PE parts with a few resin parts a the pilot seat and oxygen bottles etc. The instructions to build the cockpit takes half of the total instruction sheets. The frame structure is delicate and bends easily so you have to be careful. 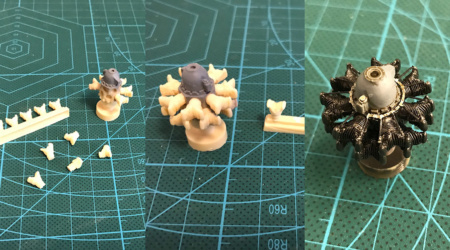 I'm using CA-glue for assembling the PE an resin parts. One strange thing to such a detailed kit is that the gun sight is entirely in resin. The instruction just says to paint it aluminium. I cut it away and replaced it by a small clear part from my left-over stash. The instructions on how to assemble the frame with the cockpit floor is very misleading! You soon notice that it's impossible but by looking at the parts you can figure out how it should be. 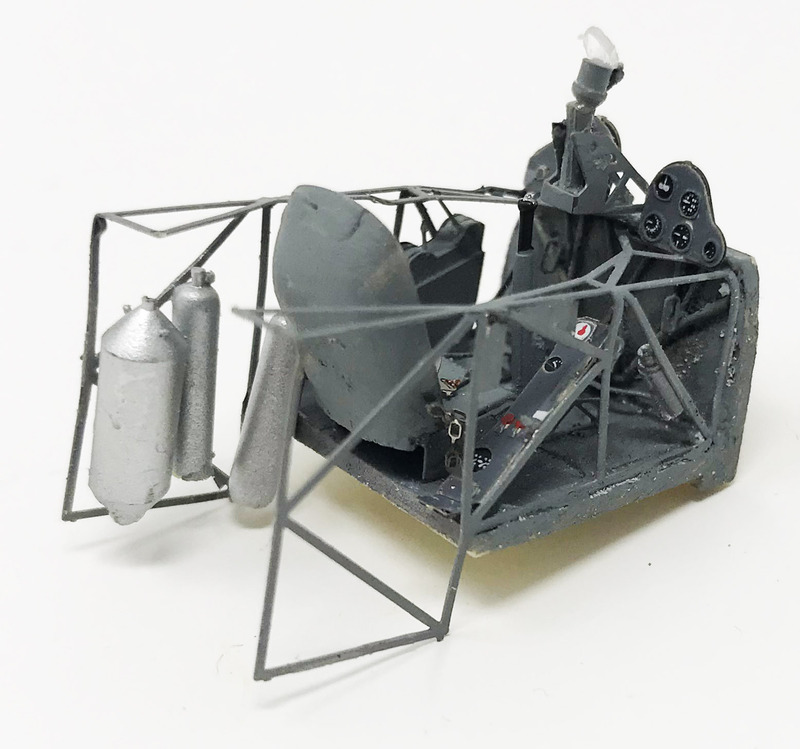 The engine is only resin parts. It's the first time ever I've had to glue every piston on a radial engine separately. 14 pistons in total. It looks good when it's done though. 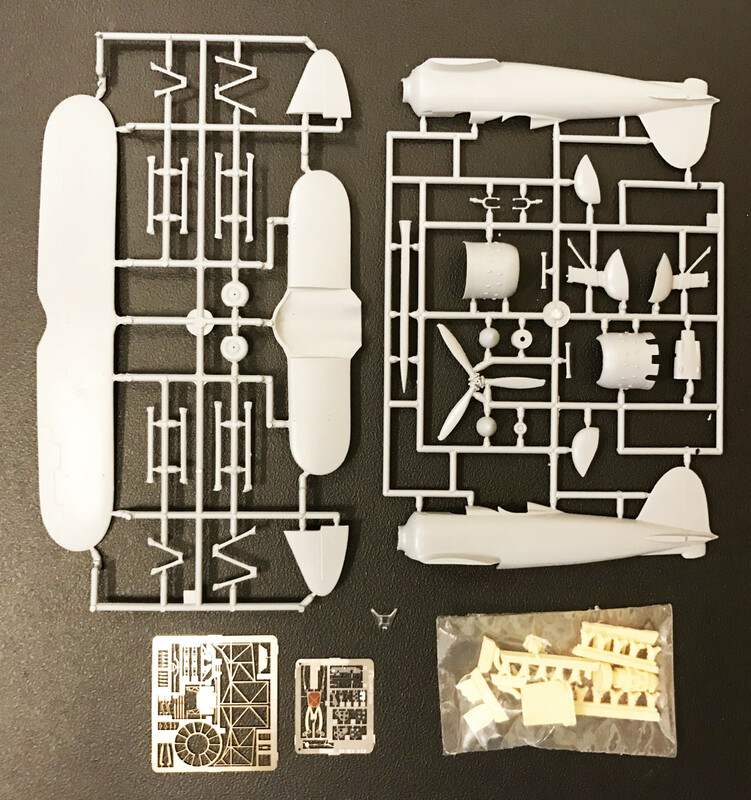 This kit does not become easier when you come to the plastic parts. 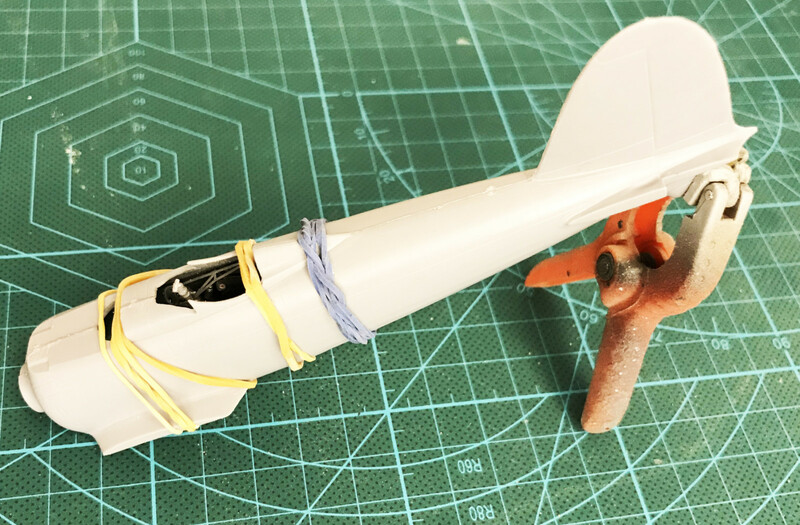 There are no guiding pins when closing the fuselage and you need to use clamps and rubber bands to minimize any gaps. The real challenge is the wing struts and landing gear attachment though. There is just tiny guiding pins and holes. The holes are so shallow I had to drill some of them just to the tiny pin would fit. 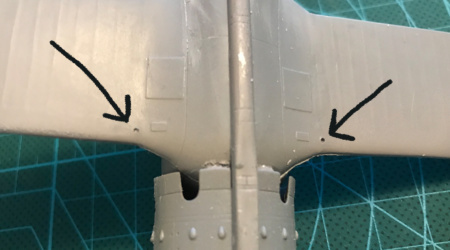 For some struts there are no pins and holes at all, just a faint mark on the plastic to show where to place the part. This does not warrant an easy and sturdy assembly. Then it doesn't help that the wing struts seems to be wrong, the wrong length and wrong attachment alignment. To build a double decker is never easy but this is pushing it. Fortunately the landing gear is on some sort of tripod so when the glue has hardened is reasonably sturdy. I waited to fix the top wing until after painting and the decals. 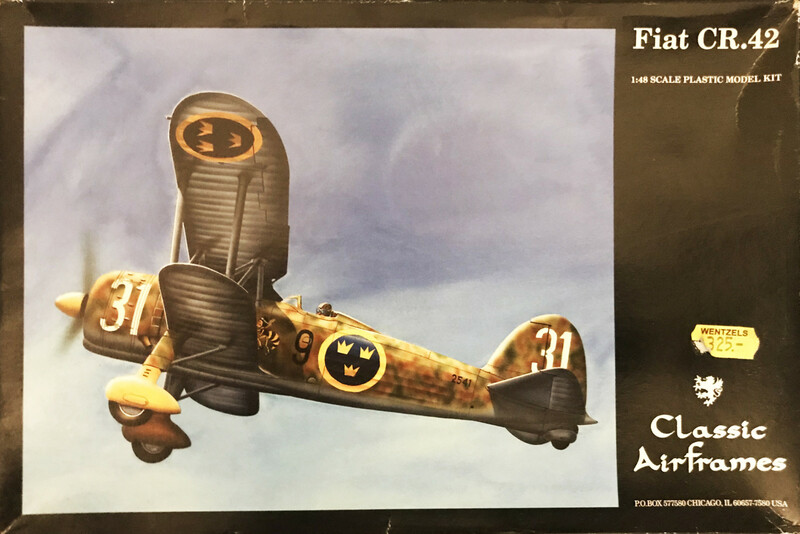 Now, the decals for the Swedish version. Would be a simple task had it not been for the large white numbers painted on the engine cowl. The engine cowl is a spiky thing with small sprouting bumps. 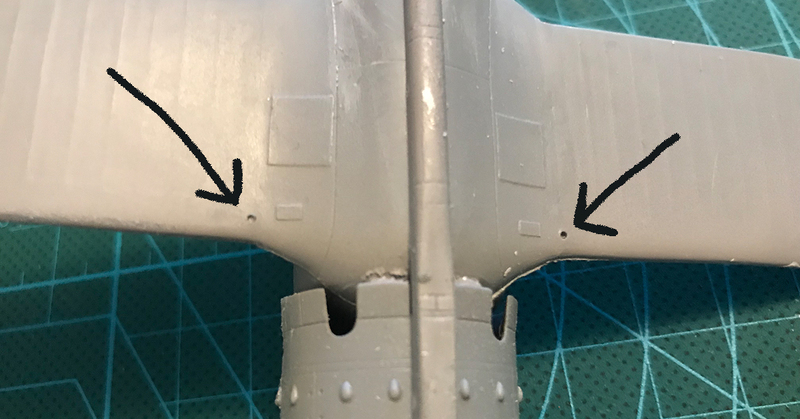 To have a decal settle nicely over such a surface is impossible without Micro Sol or something similar to dissolve the decal slightly. But not too much or the decal will break. The propeller is not an easy story either. There is no propeller shaft to insert in a hole in the centre in the engine. 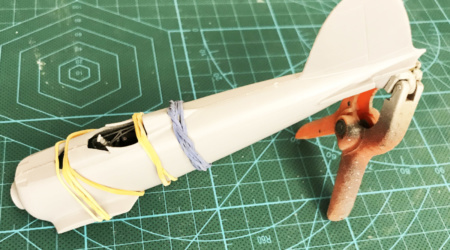 You basically have to glue the propeller directly onto the engine and doing that fixing it in the exact centre and angle is hard. At the face of it it's a luxury kit with PE and resin parts. But this is hampered by inexact parts, specially the wing struts. This kit is a challenge that I could not quite live up to. 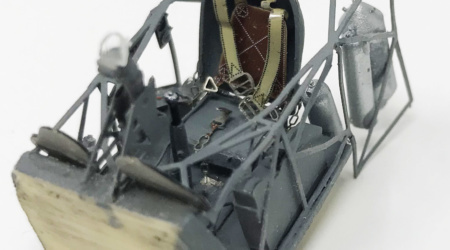 Finely detailed cockpit and engine. 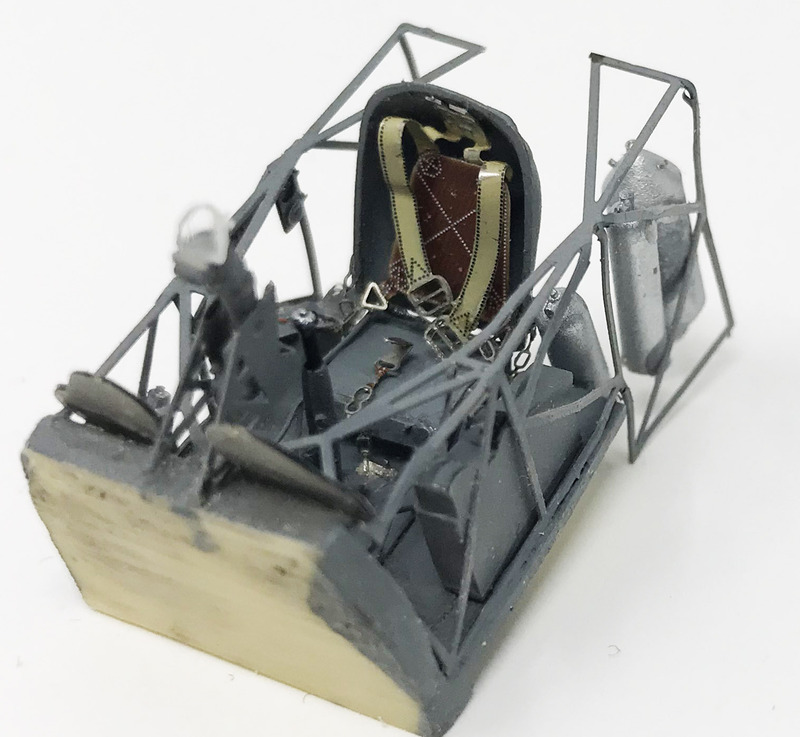 Bad fits and impossible wing struts.